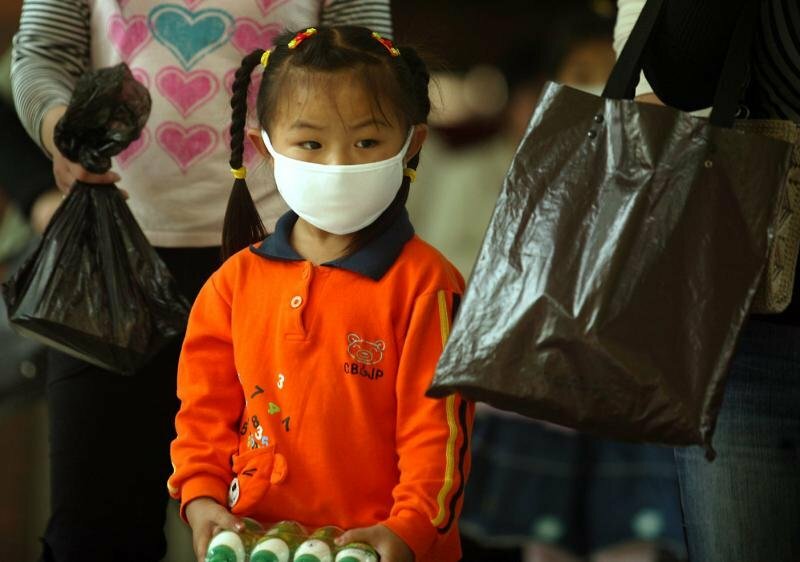 Zhong Nanshan, director of the Guangzhou Institute of Respiratory Diseases, says "the figures released by the Ministry of Health of China represent only a small fraction of the total number of infected by the virus." Growing number of cases in India, Afghanistan and Nepal. Stationary situation in Thailand. In Asia, deaths are recorded at 1172. Colombo (AsiaNews) - All schools in the Central Province of Sri Lanka will be closed from November 23 because of the large spread of the H1N1 virus. The epidemic is spreading throughout Asia. Tikiri Kobbekaduwa, governor of the province, says that the "precautionary measure" is due to the death of "ten people seen recently in the region, including children and pregnant women." The first death in the island due to swine flu occurred on 8 November in the region of Kandy, one of the major cities of the Central Provinces. A 16-year-old who sufferd from respiratory problems, died after four days of hospitalization. At least 516 thousand children will stay at home Monday. For most parents the choice of the provincial administration is appropriate, but provisional and not conclusive. Vincent Ranaweera, a father of three children who attend different schools in Kandy, believes that the provincial governor’s "is a good decision, but the health authorities and the Minister of Health have a great responsibility to take effective countermeasures." For Mr Ranaweera the closure of schools will not solve the problem. "Instead of spending money on many useless things - he says - the government should spend money to import vaccines and treatments to save the people." According to data from the World Health Organization (WHO) Sri Lanka is one of the countries of the South Asian region which is experiencing an increase in the spread of the virus. The same trend is observed in India (537 people have died and more than 16 thousand cases of infection), Afghanistan (780 cases and 14 deaths), with schools closed for three weeks in early November, and Nepal (47 infections, but no deaths). In Bangladesh, Myanmar and Maldives, where the virus has had until now a low impact, the epidemic shows signs of regression. The data released November 20 by the European Center for disease prevention and control (ECDC) finds that in Asia the number of deaths recorded so far are 1172. In addition to Thailand and India, the countries most affected were South Korea (82), Malaysia (77) and Philippines (44). Another exception is made for China, where the ECDC recorded a total of 96 cases: 40 in Hong Kong 2, Macao and the remaining continent 53. In an interview published today in The Southern Metropolis News, Zhong Nanshan, director of the Guangzhou Institute for Respiratory Diseases (GIRD), affirms that the official figure of deaths from swine flu on the continent cannot be trusted. Zhong, at the forefront against the SARS epidemic in 2003, complains that "some areas have not followed the appropriate tests on a few deaths from severe pneumonia, treating them as ordinary cases." These deficiencies reduce the number of deaths caused by the H1N1 virus. For the GIRD director "the figures released by the Ministry for Health represent only a small fraction of the total number infected by the virus." The declarations of Zhong have alarmed the government in Beijing. It must be said that in early November, the Ministry for Health introduced a new method of monitoring and calculating the number of infections and deaths from H1N1 virus. The previous protocol was based on antiquated standards that often recorded the deaths of swine influenza as pneumonia or severe acute respiratory problems. To respond to the complaint made by Zhong, the Ministry provides for severe punishment for those who apply the new system also needed to determine the vaccination strategy in place. By the end of the year 80-90 million people should have been vaccinated, less than 10% of the population.